If you are using a computer that integrates 2 graphics cards: Intel HD Graphics and AMD Radeon. By default, Windows automatically determines which application will use the graphics card based on the power used. 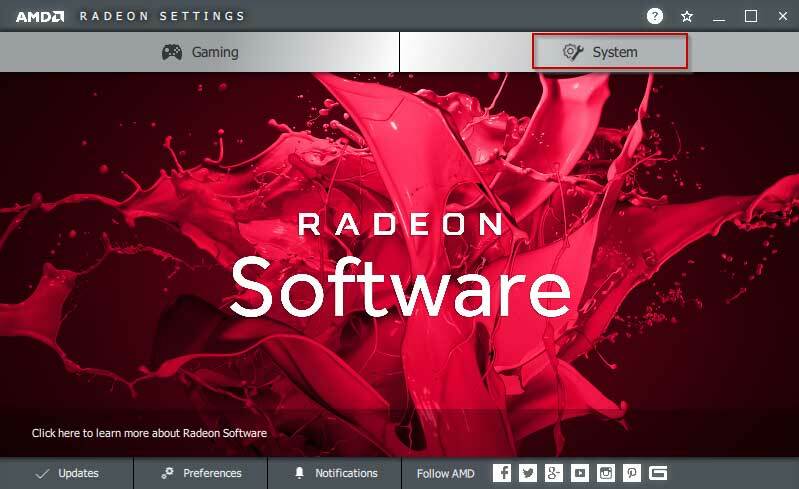 In addition, you can also track which Graphics Card is used by the application and switch Graphics card from Intel HD Graphics to AMD Radeon or vice versa depending on the purpose of using the application. 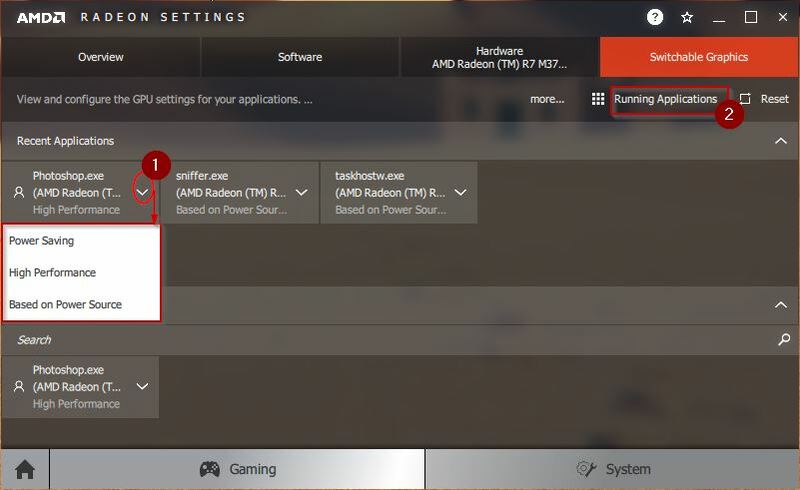 First of all, you can right-click on Desktop and choose AMD Radeon Settings. And in the first Screen, switch to System. 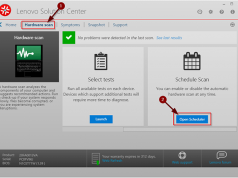 Based on Power Source: the application will use graphics by Windows automatically determines. 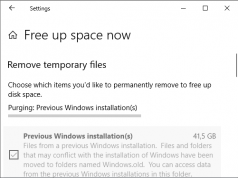 If you want to change for all applications installed, choose Running Applications and switch to Installed Profiled Applications. 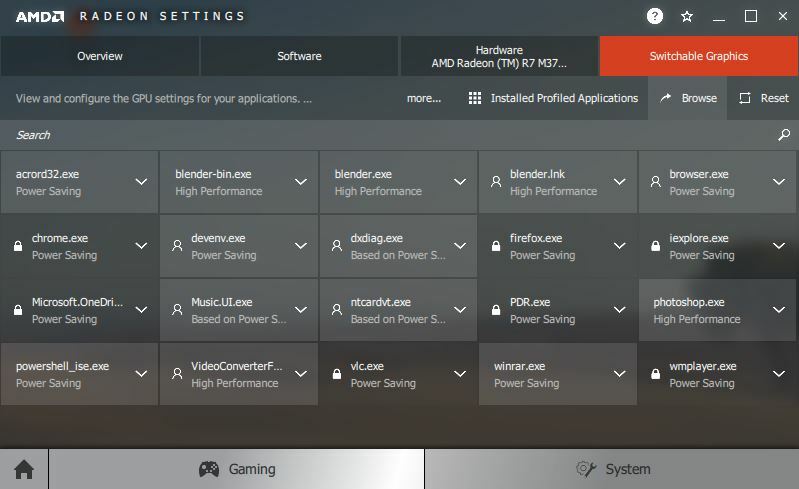 And then, Amd Settings will list all applications installed and you can change one by one. After changing the graphics card for each application, how do you know it works properly with the settings? 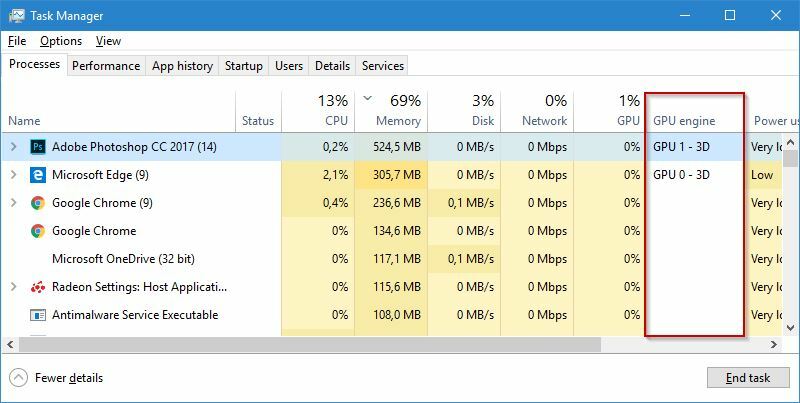 In Windows 10, you can use Task Manager to track. 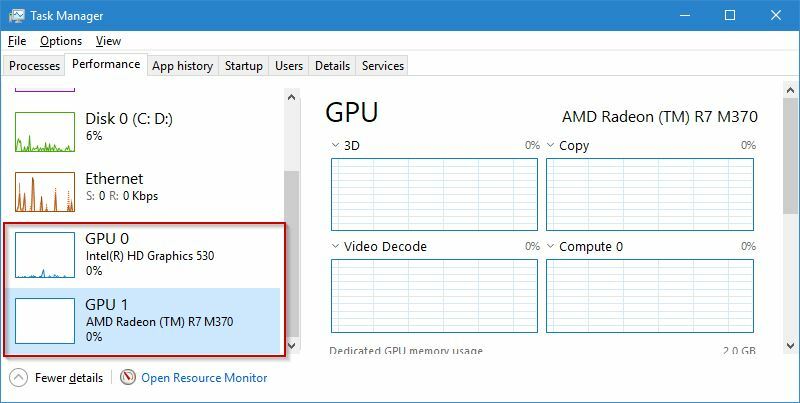 At the GPU engine column, Windows will tell you which Graphics Card is used by the application. GPU1-3D: the application is using AMD memory card. In addition, you can switch to the Performance tab to see the type of card and performance you are using.